What if I didn't have access to Microsoft Windows anymore to write? I am a heavy MS Windows user. I use it to code and write. But tomorrow I'm doing something different. I plan to spend the whole day in Ubuntu. For those who aren't inclined since I threw on my geek hat, Ubuntu is an open source distribution of Linux. Its supported by an army of coders who keep it up to date so folks out there can run various software. (Open source and otherwise.) My laptop is a dual boot system so I plan to use this opportunity to see if I can thrive on the other side of the fence using free tools to do my writing. What free tools I can use as author on Ubuntu (i.e. OpenOffice) that would be practical for my day-to-day work writing, editing, and plotting. Will OpenOffice support the track changes and comments from Word? Will there be a document map for me to jump between chapters? Will the formatting differences be a problem? How long will it take me to start a fresh document with page numbering, header, footer, etc. Will the final product of work, meaning adding/editing a large manuscript, transition well back to Windows? I'm sure there are writers out there who exclusively use the various Linux distributions (CentOS, Fedora, Debian, Linspire). (Even Mac exists as well, but that's not free to use. You have to pay for the license.) 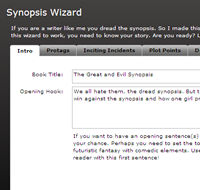 I haven't found any blog posts that go in-depth on getting started and show what will happen if you use Linux for writing fiction. With the economy making it hard to pay for the tools of the trade, I'm curious how things will go when I use OpenOffice/Ubuntu. (I've used Google Apps before and that's another post waiting to happen...) I don't use the software that often so this will definitely be a newbie experience to see the differences. Any software aiming to be as complex and useful as MS Office would certainly need instructions. If there are classes for people to learn Word and Excel then why not Open Office? I and others in my office complained of having to "learn office all over again" going from office 2003 to 2007. I'm bracing myself for 2010. Many windows users forget that they had to start from the beginning and learn windows programs. Ubuntu and other open source applications must truly be from heaven if there is no amount of work involved. Once you find out where everything I have a pretty good feeling you'll get the job done. Open Office for Windows supports track changes. That's what I use on my netbook (since I'm too cheap to spend more for a copy of Office than the entire computer cost). I use that netbook with Open Office for most critiques, so if you see any weird stuff in your Tuesday night pages from me, blame it on Open Office. I have noticed differences in formatting between OpenOffice and Word, especially with headers, footers, and page breaks. 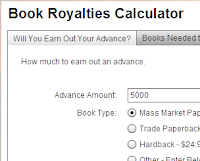 Whenever I enter a contest, I have to do the final formatting check in the real MS Word, or else my page counts are off, and my word counts are slightly different. The two apps count headers, footers, and special characters (elipses and ampersands and stuff) differently. 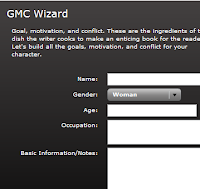 Isabelle Flynn sent me here to visit your GMC wizard... which rocks! LOVE it!! I'm very curious to see how you manage ubuntu I'm planning on moving my netbook over to linux because of issues I'm having with xp. I did use Open Office for a while on my netbook and had the same issues as Kristi. Oh, Shawny, I like it when you geek out on your readers. I'll have to ask you later how this experiment worked out for you.